My name is Kurt Baird, I'm a systems analyst at Companies House. My main role is to gather business and technical requirements from our stakeholders for projects.These requirements are written up as user stories, which are then used by the developers when coding the end product. We, the Analysis Team, have been working on a new online service that will enable companies and partnerships to file a new type of report from January 2016. Some background: From 1 January 2015, large or listed extractives companies have had to collect information on the payments they make to governments. They are required to file this information with us from 1 January 2016. Further information can be found in the Reports on Payments to Governments Regulations 2014. Over the last 18 months, we have worked with industry and civil society to produce a schema that will enable the information to be filed. Companies will then file the report as an XML document via the new extractives service. We are developing the service to meet the “Digital by Default Service Standard”, following the Government Service Design Manual. The project entered the discovery phase in June and moved into the alpha phase in August. We have tried to keep the design of the service as close to the Companies House Service to ensure that the experience is familiar to you, our users. During September we were assessed against the 18 points of the service standard, which we passed. This allowed us to move into the beta phase of development. 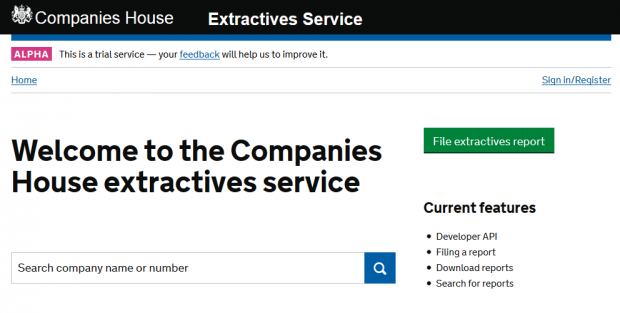 Like the rest of Companies House, we are developing the extractives service in an agile way. We work in periods of 2 weeks where we aim to achieve our agreed goals for that time frame. At the end of each sprint (sprints are part of an agile process that uses Scrum, a framework for teams developing a product) we present the new features to our internal stakeholders. We also release the new version to our external stakeholders. 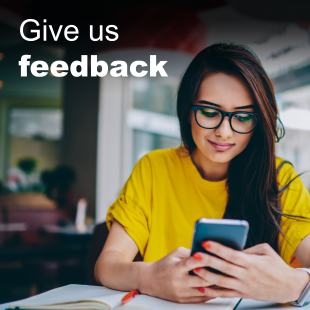 We use the feedback from both parties to feed into future iterations to help improve the service. To develop the service, we are working with an external supplier. They have a wealth of experience in working with government and it has been a great opportunity to share experiences between the public and private sectors. With the majority of our in-house development team working on the Small Business Enterprise and Employment Act, working with external suppliers in this way allows us to flexibly expand our development team as required. We began work on the beta phase on 5 October 2015, where we will have a further 5 sprints to develop the service. We are working closely with our key users, carrying out user research to clearly understand the user needs. We are making use of our in house user research lab, as well as visiting our users at their place of work. Between now and 1 January 2016, companies who are required to file will be able to do so. In January the service will enter a public beta, where records will be available for searching and download, much like the Companies House Service. For future updates relating to extractives sign up to email updates from this blog, or follow us on Twitter.